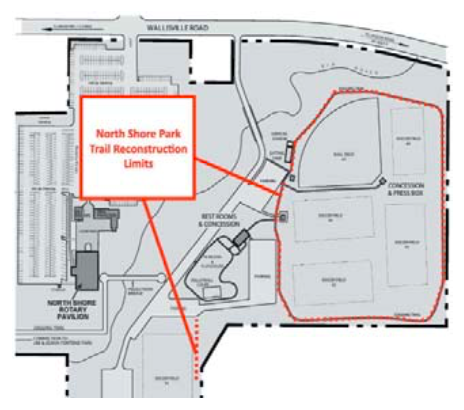 HOUSTON, Texas – Commissioner Jack Morman will begin the reconstruction of the North Shore Park trail on Monday, January 9th. “We know this trail is heavily-used, so our teams are doing all they can to ensure this project is complete by early April,” said Commissioner Morman. 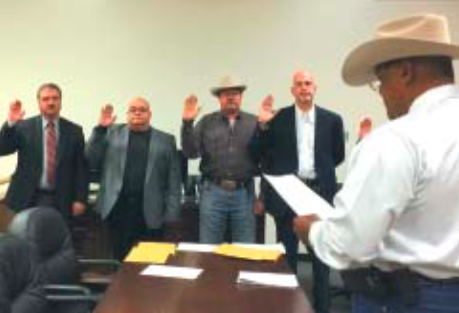 Sherman Eagleton swears in deputies including Crosby’s Ricky Larkin to uphold the laws of Texas. CROSBY – Sherman Eagleton took the oath of office on Jan. 1 for Constable of Precinct 3 at Crosby High School, he swore in a new staff that day. “I want to thank the voters for electing me Precinct 3 Constable. Even though the door may say Sherman Eagleton Precinct 3 Constable, I want them to know that the office is theirs and I will run it as a trust from them to be run for them for the next four years. I am looking forward to working for them.” said Eagleton afterwards. Left to right: Esther Casillas, Irasema Salinas, Teresa Arzapala Lupita Jaime & resident Charles Scott (seated) retired after 25 years of service to the City of Jacinto City got a Christmas haircut from Teresa Arzapala. Jacinto City, TX. 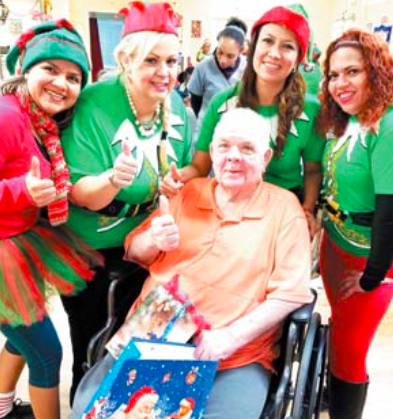 Tuesday, December 20, 2016 at the Jacinto City Health Care Center (1405 Holland Ave.) volunteers from Jacinto City and Galena Park provided a Christmas party for the residents of entertainment, refreshments and gifts donated by the volunteers and their family members. Kathy Meador and Bo Vega Activity Directors for the center scheduled the event on the Activity Calendar so residents and family members could attend. Former Mayor Allan Jamail a volunteer of over 40 years at the center had asked Jacinto City citizens Teresa Arzapala and Irasema Ochoa Salinas (Irasema’s Hair Looks, 1416 Mercury Drive) for help with comforting residents who hasn’t any family members living nearby. Teresa and Irasema began planning the Christmas party, Lupita Jaime (Lupita’s Crazy Energy Z Fitness 832-882-3562) of Galena Park organized her Zumba dance class to entertain residents and Payaso Chispirrin in a clown costume (Chispirrin Magic Show-832-909-4915) performed magic tricks.